Succeeding in promoting a drink nowadays is a tough ask. The truth is that often it can be a case of their branding not being good enough, even if their recipes are excellent. Large posters aren't just about alerting consumers to your product, they are about lending an air of authenticity. A great deal of the time small breweries are able to produce drinks that are far and away better than the big commercial brewers, so why not have posters to match? 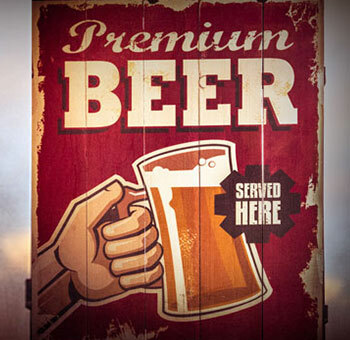 BreweryPrint offers three different sizes of posters, so you can choose the right size for you. The first is A2, which might be the smallest we do—but it's still pretty big! This size is good for easy distribution, when you want to foster a word of mouth following about your product. For the more bombastic, we offer A1 and even A0 sizes. These require a high resolution design, because we blow it up to fit the size. To put it in perspective for those who don't know paper sizes, A0 is like placing 16 sheets of A4 in a square, so generally only used for large scale projects.